It is extremely satisfying to watch my husband and toddler chow down on a meal that is not only delicious but nutritious as well. As a mother of a two-year-old and a nursing infant, I don’t have time to spend all day in the kitchen making an extensive meal. Therefore, I’m sharing an easy prep meal that is a go-to favorite in our home. As I live this law of health, I try to eat fresh produce. I love finding different ways to cook and season vegetables! Hope you enjoy this recipe! Spray baking sheet with olive oil cooking spray. 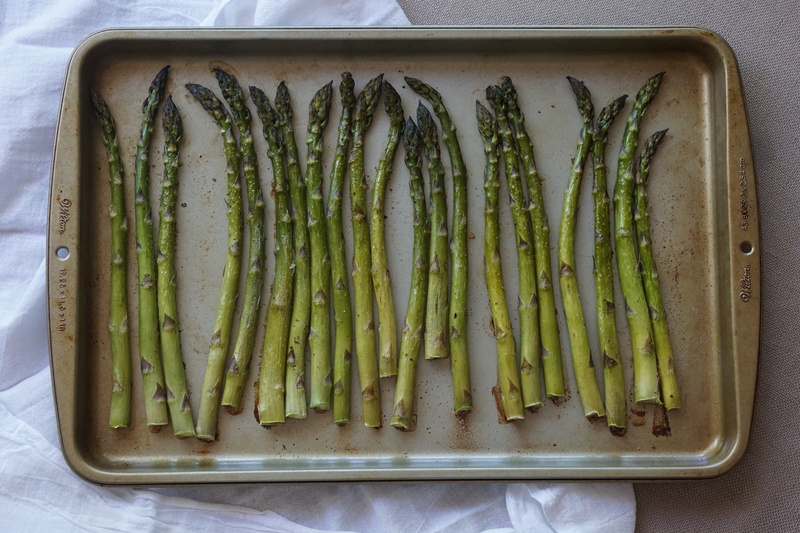 Rinse and trim asparagus spears, then place them lined up single-layer on a baking sheet. Spray asparagus with olive oil spray. Sprinkle salt, pepper, garlic and onion powder on asparagus to taste.